YP Internship Program is accepting applicants! Please email all requirements to yp@tao-pilipinas.org addressed to Angelus Maria P. Sales, Deputy Program Director for the Young Professionals Program. Emails with no proper subject heading and body will not be entertained. Only those who have submitted all requirements will be scheduled for an interview. Internship slots are limited so apply as soon as you can. If you want to experience working with technical professionals doing community development work, we encourage you to apply. You can read here experiences of our past interns as they share their own internship experience at TAO-Pilipinas. 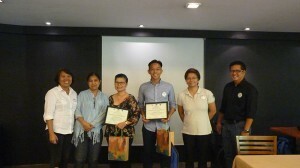 TAO-Pilipinas carried out this year’s Young Professionals (YP) Workshop on Social Housing from May 24 to 29 in Quezon City. 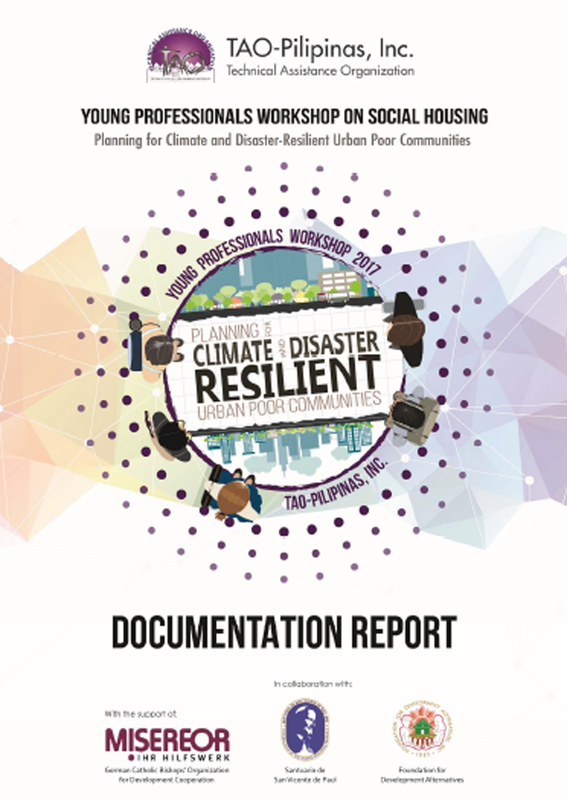 Under the theme: “Planning for Climate and Disaster-resilient Urban Poor Communities”, the 2017 YP Workshop featured a series of lecture sessions and community immersion activities. 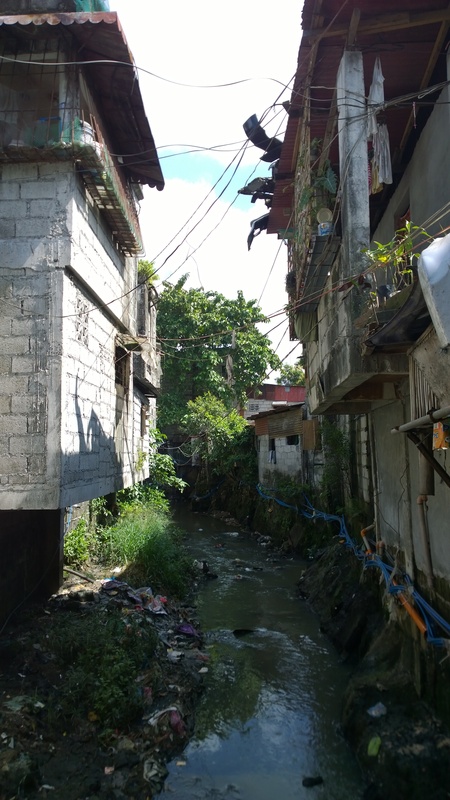 TAO-Pilipinas collaborated with Foundation for Development Alternatives, Inc. (FDA) and Santuario de San Vicente de Paul Parish to execute the project in the urban poor areas of the parish in Barangay Tandang Sora, Quezon City. The workshop had a total of 34 participants composed of 19 young professionals (YPs) and 15 community representatives. Among the YP participants were seven undergraduate architecture students, three architecture graduates, four licensed architects, one landscape architect, one community organizer, and three representatives from the Presidential Commission for the Urban Poor (PCUP). Architecture students, graduates, and licensed architects were from University of Santo Tomas (UST), University of the Philippines (UP), Far Eastern University (FEU), and Technological Institute of the Philippines (TIP). Community representatives were from the three kawan areas of Santuario de San Vicente de Paul Parish. The six-day workshop on social housing aimed to build the capacity of YPs in providing technical design support to poor communities working toward shelter security and sustainable settlements. The program of activities combined two levels of training – theory (lecture sessions) and practicum (community immersion). 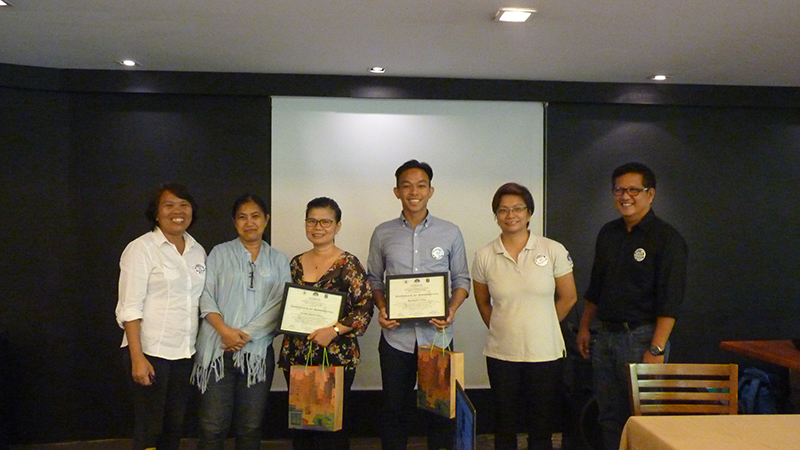 The YP Workshop kicked off with a series of lecture sessions that were held on May 24 and 25 at Felipa Hall, Max’s Restaurant, Quezon City Circle. Various resource speakers were invited to discuss topics that would equip the participants with fundamental knowledge for the community immersion stage. Participatory activities were also integrated during the first two days to make the participants actively involved in the workshop. The keynote lecture was delivered by Ms. Ana Dizon, a Board of Trustees Member of TAO-Pilipinas. Her presentation, entitled “Making a Difference: The Challenge of Housing the Urban Poor and the Role of Young Design Professionals”, addressed the gap between conventional architecture and urban poor housing. She also talked about the emergence and evolution of a new role in the design profession – the “architecture of empowerment”. The practice involved designing “for” and “with” the urban poor communities. Four sessions followed the keynote speech. 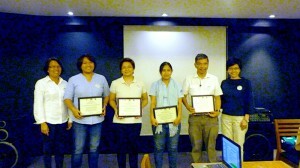 The first one featured two lectures that gave an overview on social housing: “Philippine Housing Situationer” by Atty. Junefe Payot of Social Housing Finance Corporation (SHFC) and “BP 220: Planning and Design Standards for Social Housing” by Engr. Lorena Hernandez of TAO-Pilipinas. The second session comprised three lectures that tackled climate and disaster risks: “Key Concepts in DRRM” by Arch. Angelus Sales of TAO-Pilipinas; “Implications of Climate Change-related Risks to Human Settlements Development” by Arch./EnP. Arlene Lusterio of TAO-Pilipinas; and “Vulnerabilities and Adaptive Capacities of the Urban Poor in Metro Manila” by Mr. Benedict Balderrama of Partnership of Philippine Support Service Agencies (PHILSSA). The third lecture session focused on building sustainable and resilient communities. The three lectures discussed were “Disaster-resilient Design Concept in Settlements Planning and Development” by Arch. Verna Sarraga of TAO-Pilipinas; “Creating Urban Resilience Through Retrofitting” by Ms. Maribel Larracochea and Engr. Clint Gabilo of Build Change; and “Low Carbon Communities” by Mr. Francis Dela Cruz of Institute for Climate and Sustainable Cities (ICSC). TAO-Pilipinas is partnering with Foundation for Development Alternatives (FDA) and Santuario de San Vincente de Paul Parish for the Young Professionals Workshop on Social Housing slated on May 24-29, 2017. A network partner of TAO-Pilipinas, FDA is an NGO with a long track record in community organizing. They have been working with St. Vincent de Paul Parish, through its Basic Ecclesial Communities (BEC), to provide awareness and capability building for poor communities in Barangay Tandang Sora under its pastoral ministry. 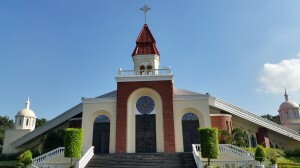 Santuario de San Vincente de Paul Parish will serve as venue host for the workshop. The lecture sessions of the workshop on May 24-25 and the plenary session on May 29 will be held at the Verandas de San Vicente within the St. Vincent de Paul Seminary Complex in Tandang Sora, Quezon City. The parish area is divided into three smaller sub-areas called “kawan”. The YP participants will be divided into three teams and will immerse in the three kawans of the parish during the fieldwork part of the workshop on May 26-28. The YP teams will conduct community consultation-workshops and will stay in the community for two nights with host families. FDA and the parish BEC leaders are helping make the logistical arrangements for the community-based activities and are coordinating with host families to facilitate the YPs’ stay in the community. Moreover, fifteen BEC leaders will be the YPs’ co-participants throughout the 6-day program. The BEC leaders will join the YPs teams as they conduct simultaneous consultation-workshops in the three kawans. 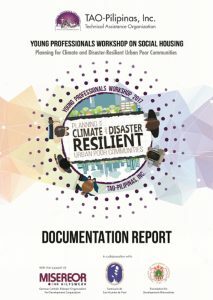 These workshops will focus on the theme, “Planning for Climate and Disaster-resilient Urban Poor Communities”, to come up with community-led strategies and action plans.